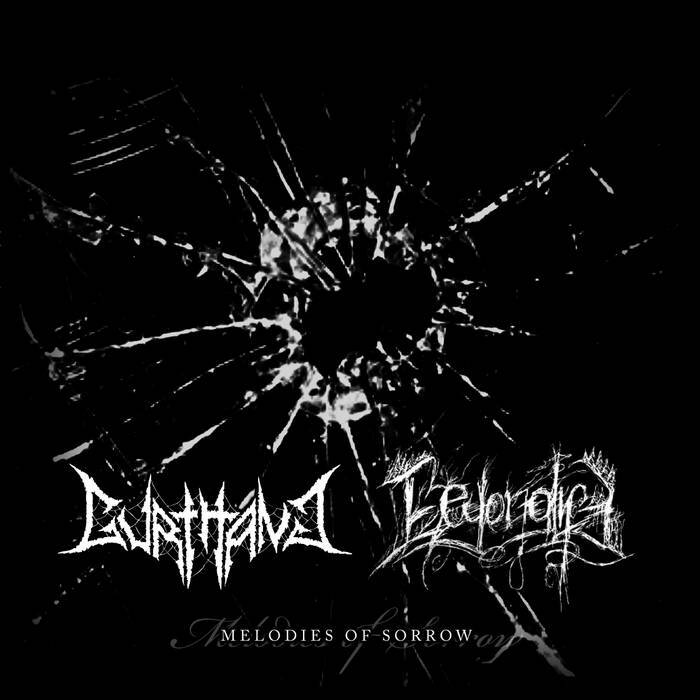 This is a review of a split album between Poland's Gurthang and Beyond Life called "Melodies Of Sorrow" which will be released on July 14, 2015 and we will start off the review with Gurthang a band that plays a mixture of black metal and funeral doom. Noises and drum beats start off their side of the split and a few seconds later heavy guitars are added into the music and on the second track the music goes for more of a raw black metal style along with some blast beats as well as adding in deep screaming vocals which are kind of over powered by the guitars and the solos and leads bring a touch of death metal to the recording and some of the riffs also bring in a small amount of melody and the last track has almost an industrial feeling, the production sounds very powerful while the lyrics cover depression, loneliness, death, misanthropy and loss. 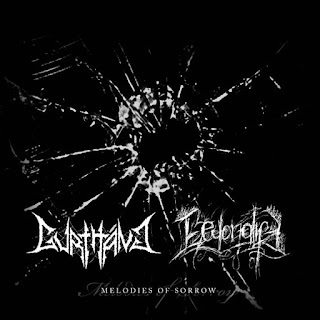 In my opinion Gurthang are a very great sounding mixture of black and funeral doom with a touch of death metal and if you are a fan o those musical genres, you should check out this band. RECOMMENDED TRACK "Arise". Next up is Beyond Life a band that plays a mixture of black metal and ambient. Avant garde sounds start off their side of the split along with some ambient sounds and on the second track the synths get more powerful and heavy, melodic guitars are added into the music along with some solos and leads that bring in more of a modern black metal style and spoken words are added onto the recording while the music is mostly instrumental and the production also sounds very powerful. In my opinion Beyond Life are a very great sounding mixture of ambient and black metal and if you are a fan of those musical genres, you should check out this band and their side of the split. RECOMMENDED TRACK "Heavy rain". In conclusion I feel this is a very great sounding split and I would recommend it to all fans of black metal, funeral doom and ambient. 8 out of 10.